Pulmonary fibrosis is a respiratory illness in which a thick and stiff tissue develops on the lungs which is later accompanied by scarring. 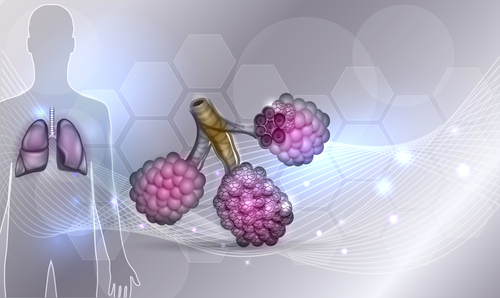 Pulmonary fibrosis (PF) can develop as a secondary disease associated with pneumonia, tuberculosis, systemic lupus erythematosus, sarcoidosis or rheumatoid arthritis. External causes include exposure to industrial asbestos fibers, silica dust, animal droppings and chemotherapy and radiation treatment. 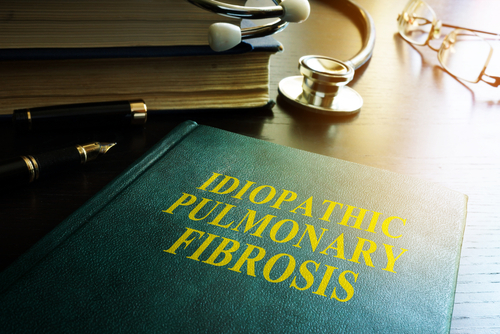 Most patients develop pulmonary fibrosis for unknown reasons, which is called idiopathic pulmonary fibrosis (IPF). Pulmonary fibrosis isn’t always associated with pain, although it almost always causes uncomfortable shortness of breath and a severe cough. Because PF can be a secondary disease associated with other painful condition, some people diagnosed with PF can experience pain from those sources. The most common symptoms of PF are shortness of breath and a dry, hacking cough due to the scarring of the lungs. It can also cause muscle aches and sore joints. People with pulmonary fibrosis who experience pain are often suffering from another problem like an injury to the rib cage or back from severe coughing, or from other parts of the body due to a lack of oxygenated blood flow. Additional symptoms of PF include severe fatigue, weight loss and clubbing of the fingertips. Pulmonary fibrosis starts out causing problems with the lungs. One of the first things that people start to notice is a shortness of breath that develops when they exert themselves. Some people even experience constant shortness of breath. The next symptom that typically develops is a cough that won’t go away. This cough is usually accompanied with the constant feeling of being very tired. Some people who develop PF get fevers, lose weight and their muscles and joints start to become sore. As the disease progresses and damage builds in the lungs, the lungs become unable to oxygenate the blood, causing a lack of oxygen to the organs and bodily tissues. This lack of oxygen often leads to aching muscles and joints. Another effect of pulmonary fibrosis that can be painful to some people is clubbed fingers and toes. Not everyone experiences this symptom, but it is a common complaint for those with PF. Clubbed fingers and toes are caused by the chronic under-oxygenation of the extremities. It is often associated with a cold sensation which is also bothersome for many patients with PF. A less common symptom of pulmonary fibrosis that can cause pain is muscle and nerve damage. While not a symptom of the disease itself, it can happen due to a lack of oxygen in the blood. Many patients with pulmonary fibrosis report chest and back pain. Severe coughing is hard on the pulmonary muscles that surround your lungs and are responsible for respiration. They often become sore and can be pulled or strained. People with pulmonary fibrosis can also feel soreness in these muscles during the expansion and contraction of the thoracic cavity. It is an unpleasant, painful symptom that leaves patients feeling uncomfortable. If you or a loved one is suffering from symptoms of PF that cause pain, there are some treatment options that are aimed at improving your quality of life. Palliative care can provide relief from the painful symptoms and stress that goes along with having a chronic illness like pulmonary fibrosis. Palliative care treatments include things like medications and enzyme supplements that may provide symptom relief for shortness of breath and oxygen therapy. Other techniques and medications can help relieve depression, calm nervousness and manage pain. It can be shocking to be diagnosed with pulmonary fibrosis–for both the patient and their family. It’s important to ask your doctor for a referral for palliative care because those specialists are the best at treating and reducing the symptoms of pulmonary fibrosis that can be painful. Living with pain associated with a chronic illness is unpleasant. But there are ways to avoid and manage pain. Things like the way we live and what we eat affect our nervous system and our perception of pain. While pain can significantly impact our lives, understanding the pain and learning to deal with it in a more positive way through a healthy lifestyle can significantly improve quality of life for those living with diseases like pulmonary fibrosis.